To ensure optimal installation of aggregate blended with Organic-Lock you must pre-wet it prior to placement and compaction. Pre-wetting the aggregate either at the quarry prior to shipping or in small batches on the job-site by means of a front loader and a water source. The key to installing pathway aggregate successfully is based on the correct moisture content. Excavate area to the requied depth so that the finished grade will be as noted on plans. 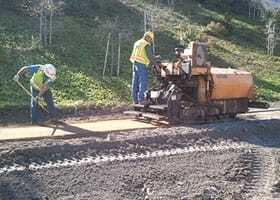 Compaction % of the aggregate will vary from aggregate to aggregate. 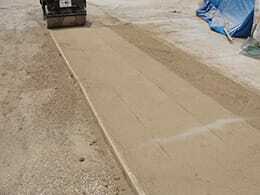 Install pathway aggregate by preparing mock-up to confirm proper compacted depths. Compact subgrade to 95% modified proctor density. Place base material to approved depth and compact to 95% modified proctor density. Incorporate crowns or swales, where appropriate, to reduce the chance of sitting water. Skip to Step 5 if you will be pre-wetting of the Organic-Lock™ Pathway Aggregate at the quarry prior to shipping. You can use a front-loading tractor and water source to pre-wet the Organic-Lock™ Pathway Aggregate on the job site. This can be done by slowly adding water to the dry pre-blended Organic-Lock™ Pathway Aggregate and turning over the Organic-Lock™ Pathway Aggregate pile until the optimum moisture content of between 10-12% is achieved. 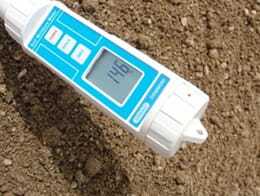 A thorough blending and consistent moisture content are important to achieve success. If you can easily form a ball of the mixture in your hand, there is too much moisture. Spread and compact the Organic-Lock™ pathway aggregate once you have achieved the proper moisture content. 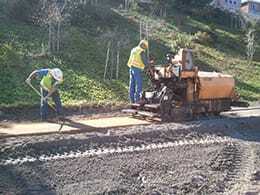 We recommend using a paving machine to install pathway aggregate with larger projects. This will evenly spread Organic-Lock™ Pathway Aggregate at the specified depth. Alternately, you could use a box Gannon™ or similarly equipped tractor/loader. For small projects spread & grade by hand as per plans. Separate lifts are required if you are installing more than 3 inches of pathway aggregate. Compact the Organic-Lock™ pathway aggregate using a 2 ton (or larger) double drum or single static drum roller, or equivalent. Do not use a vibratory plate compactor or vibratory setting on the compactor. When no further visibile roller marks can be seen on the surface, compaction of the Organic-Lock™ pathway aggregate is complete. The surface of the Organic-Lock™ Pathway Aggregate shall be true to elevation and shall not vary by more than 1/4” tested with a straight edge at any location on surfaces. The crown on the surface should be a minimum of 2% and be flush with adjacent materials and/or edge restraint. The surface must be sloped a minimum of 1% to drain away from structures. 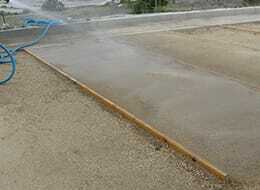 Apply a light spray of water to the surface of the Organic-Lock™ Pathway Aggregate. This will give the surface a clean appearance. Apply just enough water to moisten it without causing any run-off. Do not allow any traffic (pedestrian, vehicular, etc.) 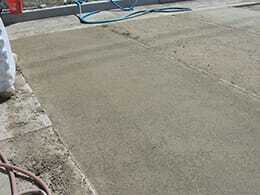 on the newly installed Organic-Lock™ Pathway Aggregate until fully cured. Light pedestrian traffic can be allowed after the surface has visually dried and feels firm under footing. Organic-Lock™ Pathway Aggregate should be allowed to fully cure before vehicle use is permitted. Curing times will depend on many factors including moisture content at the time of installation, climate, depth of installation, etc.